Goodbye, Mr Lee – Eat. Sleep. Burn. Repeat. Today my country lost a hero, a titan, a Man who set a vision for this island nation, who transformed what was essentially a tiny outpost, to what it is today – a global city. He was an imposing figure, and I remember always being struck by how full of conviction he sounded whenever he gave a speech. Even when he was getting frail towards the end of his life, his passion shone through his eyes. You could see him assessing, thinking, working on things even as his body failed him. I don’t know him personally. 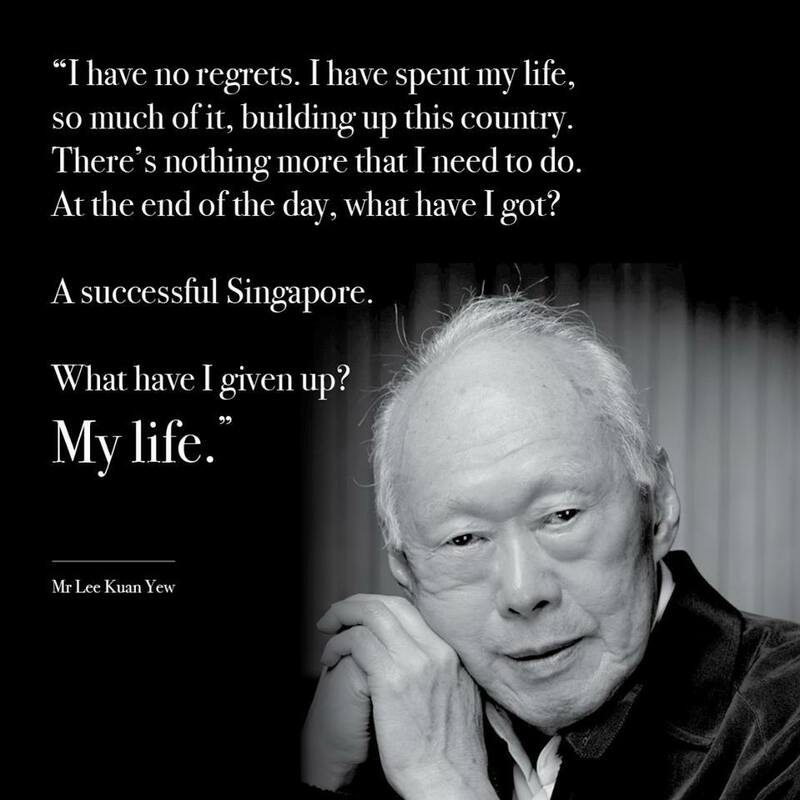 But I have been a beneficiary of his leadership, and am glad that I am part of the generation to have been around when he was at the helm, and had been in the centre of all the changes Singapore went through in its short 50 years of independence. Of course he wasn’t perfect. He was human. He was neither omniscient nor omnipotent, and never claimed to be. He had not always been right, but he had (at least in my opinion) always done what he felt right for the nation. There are so many things I am grateful for – I can go for a run in the middle of the night and not get raped/ mugged. I have a choice to take public transport or ride on my bike because the infrastructure is there – we have proper, well maintained roads, and while the transit system has its problems (which I am very sure the authorities are trying their darnest to fix – no one likes having their father/ mother cursed at etc) it really isn’t that bad. All these, because he knew which direction he wanted Singapore steered when he took over. I had not expected myself to feel so sad (he had been hospitalised for some time) but when I woke up today and looked at my phone and saw all the app notifications I burst into tears. Watching the Prime Minister address the nation in the morning made the knowledge that he is gone worse. This, because I feel really sad for the PM too. How hard it must be for him to try and remain stoic when the world’s cameras are zoomed in on him. How hard it must have been for him to repeat the message again and again and again (though there are differences in the addresses) that not only has he lost his country’s Founder, he has lost his father. This, on top of the surgery he had, from which he is still in recovery. I cannot imagine how much pain PM Lee and the rest of his family are going through right now. That they cannot even properly show their grief, to let it out. This has truly been a Black Monday for all of us here in Singapore. Previous Previous post: How do you all do it?